Baseball Patch Musical Crib Mobile sets will help complete the look of your Sweet Jojo Designs nursery. 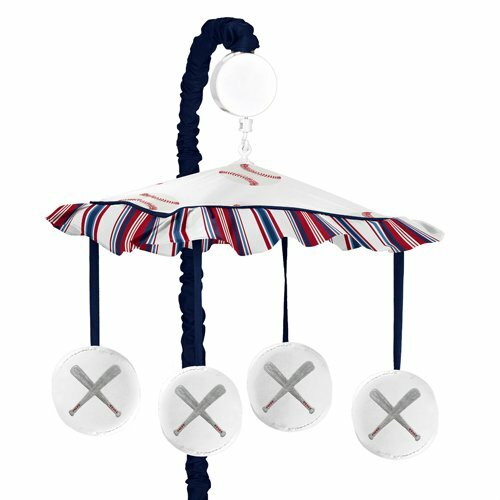 This set includes musical mobile frame, canopy with hanging toys, and matching arm sleeve cover. The wind-up mobile spins and plays Brahms's lullaby. This mobile fits standard cribs.